This is the compilation tape version of the California Death Metal Horde, DRAGHKAR. 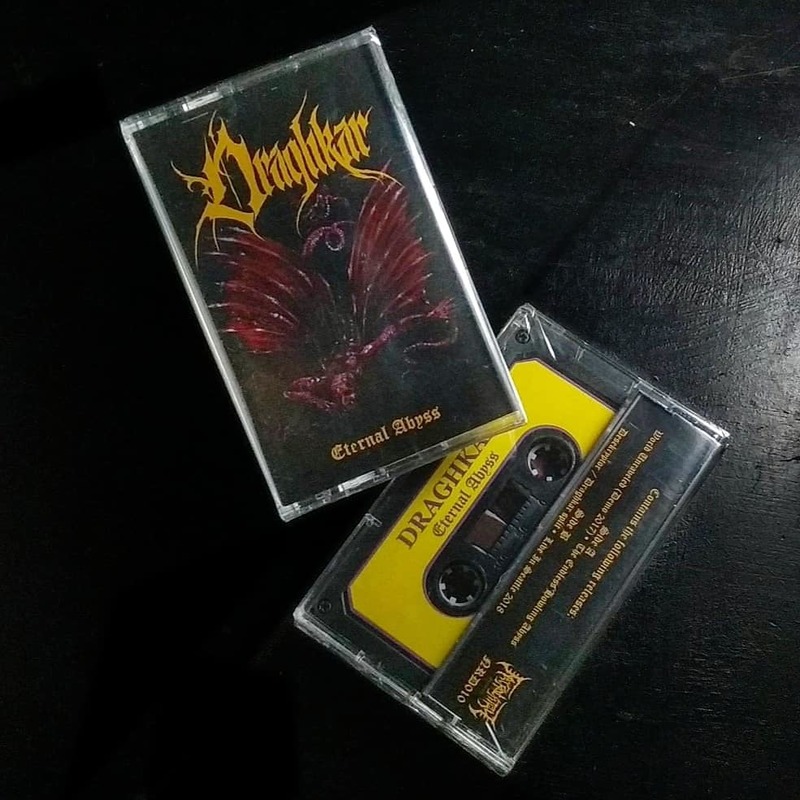 Their “World Unraveled” demo in 2017 (released by Blood Harvest and Witchhammer) has put Draghkar firmly in the higher echelons of the Underground Death Metal scene. They have followed up relentlessly with “The Endless Howling Abyss” (2018) and “Stealing The Keys To Nothingness” (2018 – split with Desekryptor). This tape captures all 3 releases with 5 more additional tracks from their live show in Seattle.